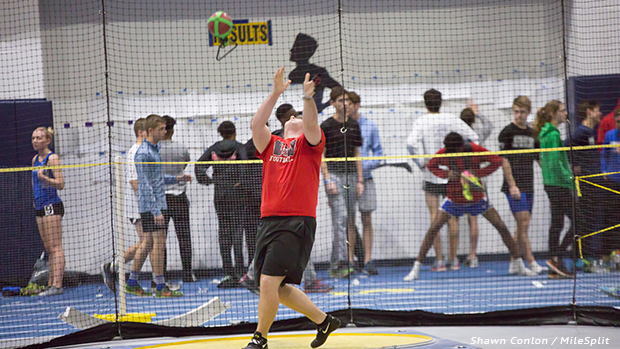 Dylan Beaird excels in weight throw competition during the indoor season. The 21st running of the Wayne Warrior Relays will commence at Heidkamp Stadium in Huber Heights on Tuesday afternoon with a 4:00 start time. To say this annual gathering has been dominated by the host squad would be an understatement; in the meet's history, the men's team are undefeated while the lady Warriors have failed to hoist the winner's trophy just once. Will Wayne continue to defend home turf or will a new team emerge victorious? And what event records are in jeopardy of falling? The Warriors dynamic quartet of Zarik Brown, Justin Harris, Brian Hill and Lucas Houk should threaten a mark or two by the end of the evening. * The 4x100 record currently stands at 42.02, set by Dunbar back in 2012. Wayne has already gone 42.37 this season - if the Warriors are firing on all cylinders today, this one could go down. * The Mixed Medley (200-200-400-800) all-time mark of 3:33.70 (established by a Wayne group in 2007) is on the current Warriors radar, as well. * In the hammer throw, Wayne's Dylan Beaird has his sights set on usurping volunteer assistant coach, Darien Thornton's mark of 192-9 from 2012. Beaird has already thrown 196 and change this season. * Record breaking aspirations are not exclusive to just the Wayne club, however. 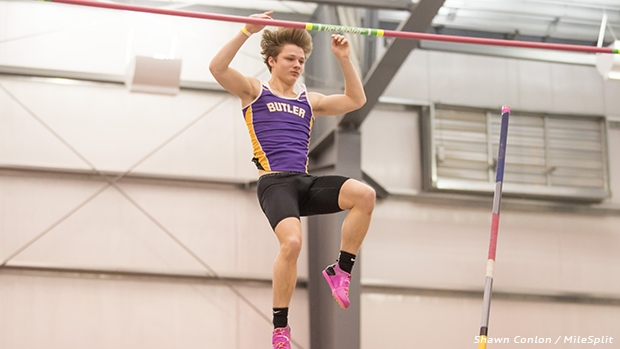 Pole vault ace Dalton Shepler from Vandalia-Butler, who's vaulted 16-4 during the outdoor campaign, could very well position himself as the new all-time meet leader. The current best is 15-6, set by Tommy Marks of Wayne in 2008. * The ladies pole vault record of 12-0, held by Mackenzie Wills of Troy Christian (2008) and Graysen Simmons of Wayne (2017) could also go down. 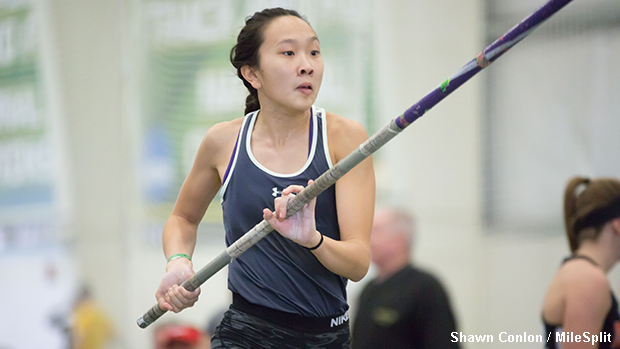 The front-runner to set the new top mark is Beavercreek's Eileen Yang, who has a vault of 12-6 on her impressive athletics resume. Thanks to meet director (and Wayne coach), Mike Fernandez for compiling the all-time best marks at the Warrior Relays, as well as highlighting the specific team members who participated. 8:13.20 F.A.T. NEW EVENT 2004 9:58.52 F.A.T. 3:33.70 F.A.T. 200-200-400-800 4:16.62 F.A.T. 5:52.90 F.A.T. 800-400-400-800 7:04.23 F.A.T. 57.50 HAND TIME 4X100 SHUTTLE HURDLE 30" 63.18 F.A.T. 1:33.50 F.A.T. 100-100-200-400 1:51.10 F.A.T. 10:50.60 F.A.T. 1200-400-800-1600 13:05.10 F.A.T.